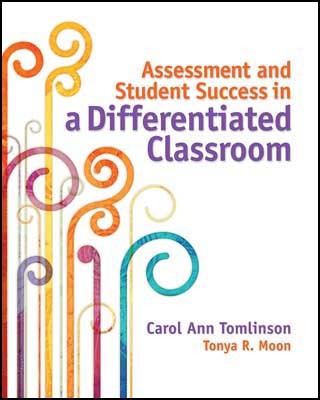 "Assessment and Student Success in a Differentiated Classroom is a valuable resource for beginning and veteran teachers, in general and special education, in K–12 and university settings. It's a book best read once then revisited periodically, ideally as part of a professional learning community's continuous improvement work." CAROL ANN TOMLINSON was a classroom teacher for 21 years, working with high school, preschool, and middle school students, as well as administering district programs for struggling and advanced learners. She was named Virginia's Teacher of the Year in 1974. She is currently on the faculty at the University of Virginia, where she is William Clay Parrish Jr. Professor; Chair of Educational Leadership, Foundations, and Policy; and Co-Director of the University’s Institutes on Academic Diversity. Carol was named Outstanding Professor at the university’s Curry School of Education in 2004 and received an All-University Teaching Award in 2008. Her books on differentiated instruction are available in 13 languages. She works with teachers in the United States and internationally to develop classrooms that provide effective instruction for academically diverse student populations. TONYA R. MOON is a professor in the Curry School of Education at the University of Virginia. Her specializations are in the areas of educational measurement, research, and evaluation, and she works with educational institutions nationally and internationally on issues associated with educational assessments. She also works with school districts and schools on using better assessment techniques for improving instruction and student learning. In addition to her research and teaching responsibilities, she is the Chair of the University’s Institutional Review Board for the Social and Behavioral Sciences.